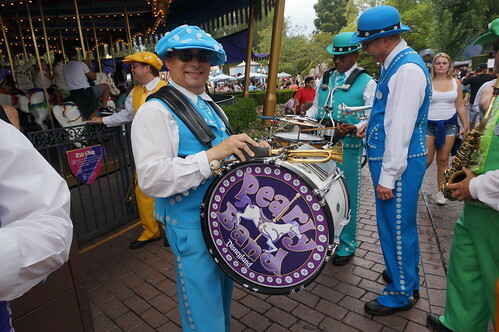 In the tradition of London's pearly kings and queens, the members of the Pearly Band are dressed in natty outfits decorated with mother-of-pearl buttons. 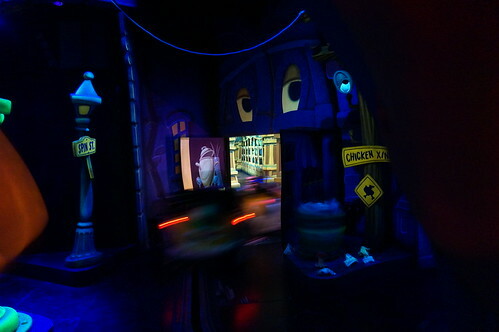 Inside the Roger Rabbit Cartoon Spin attraction in Mickey's Toontown at Disneyland. 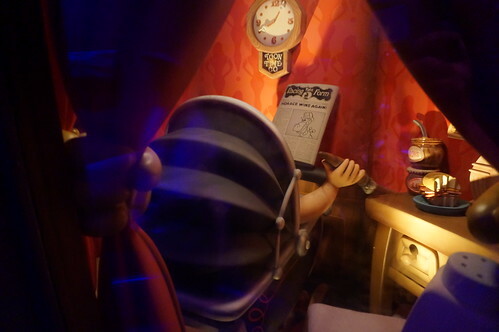 Baby Herman Inside the Roger Rabbit Cartoon Spin attraction's queue in Mickey's Toontown at Disneyland. 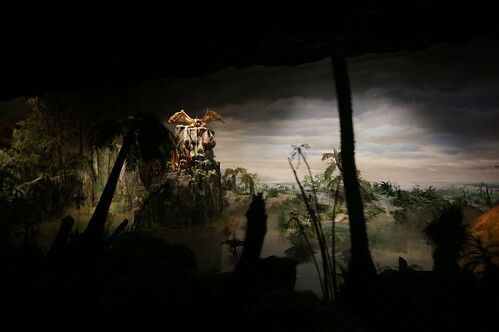 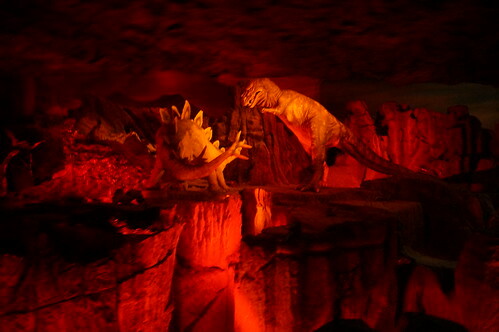 Primeval World is a short attraction on the Disneyland Railroad at Disneyland in Anaheim, California and formerly part of Disney's Ford Magic Skyway attraction at the 1964 New York World's Fair from 1964 to 1965. 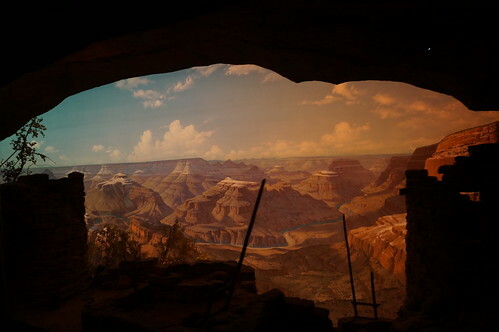 Grand Canyon diorama as seen from the Disneyland Railroad. 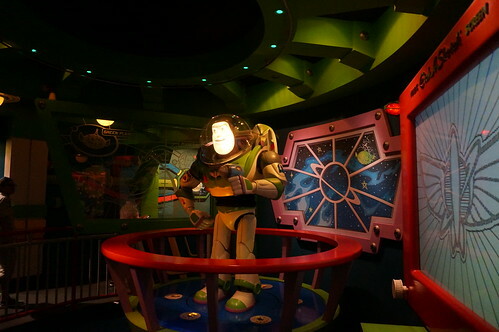 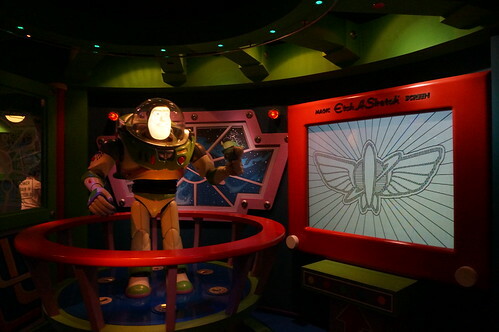 Buzz Lightyear in the Buzz Lightyear Space Ranger Spin attraction in Tomorrowland at Disneyland. 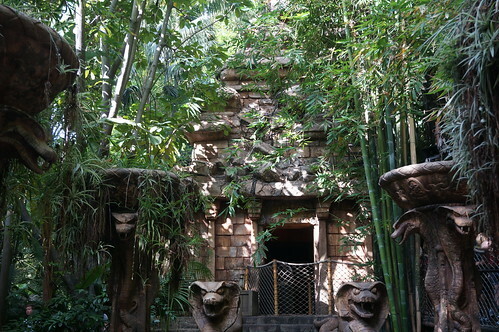 Outside of the Indiana Jones and the Temple of the Forbidden Eye attraction in Adventureland at Disneyland. 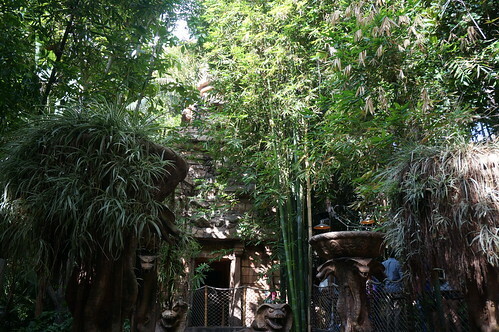 Outside of the Temple of the Forbidden Eye attraction in Adventureland at Disneyland. 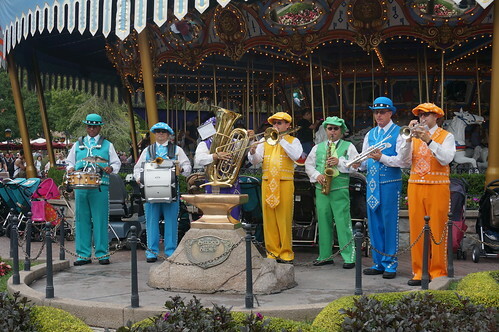 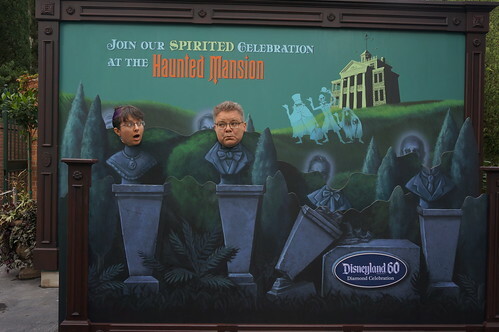 Tracey and Scott as Singing Busts outside of the Haunted Mansion at Disneyland during the Diamond Celebration. 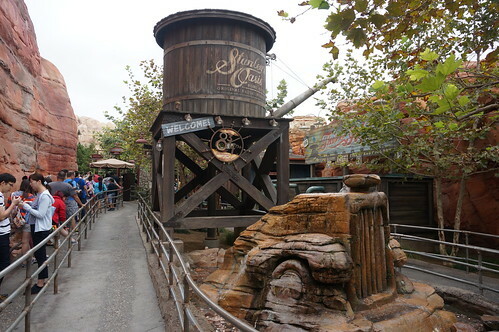 Stanley's Oasis found in the queue for Radiator Springs Racers at Disney California Adventure. 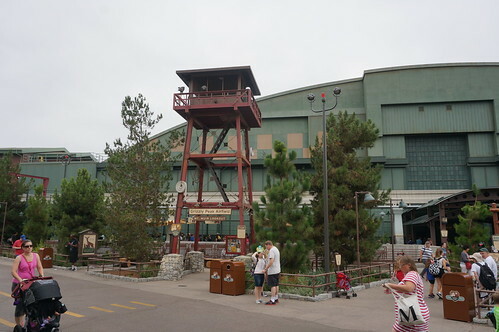 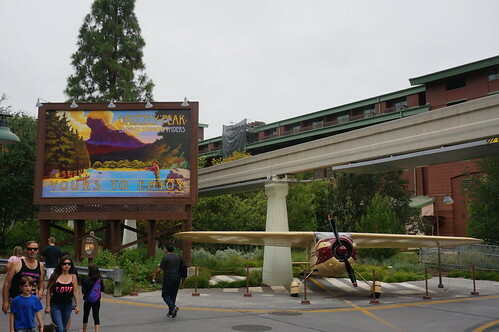 The Soarin' Over California attraction after changes to the area to Grizzly Peak Airfield in 2015. 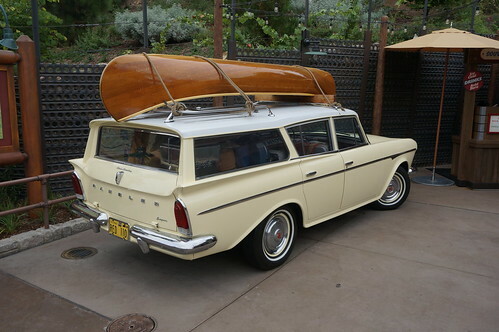 This yellow Rambler station wagon parked next to Humphrey's with a canoe strapped to the roof. 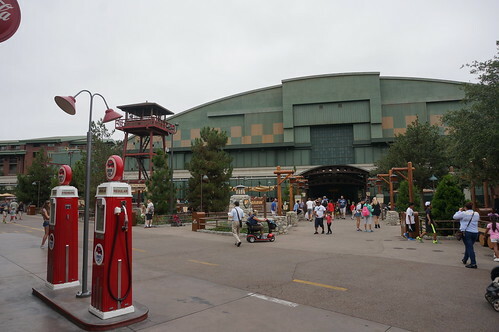 On the inside, Imagineers stuffed the classic car with the ephemera of a family road trip: A map stretched out on the passenger seat, fishing gear in the back seat and suitcases crammed into the way, way back. 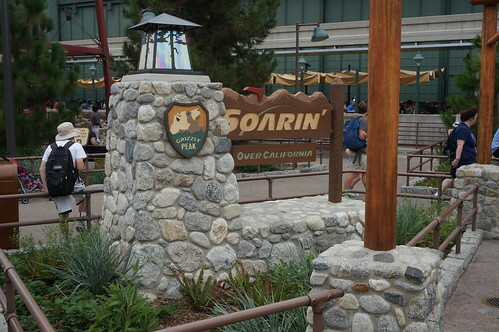 The new sign for the Soarin' Over California sign in the Grizzly Peak section of Disney California Adventure. 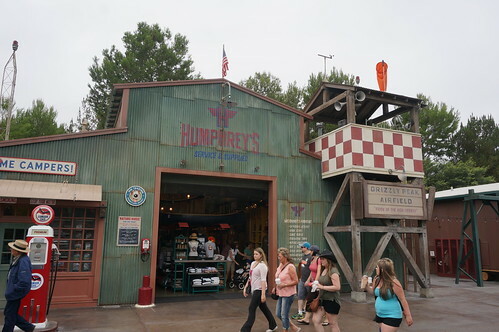 Humphrey's Service Station at the Grizzly Peak Airfield in Disney California Adventure. 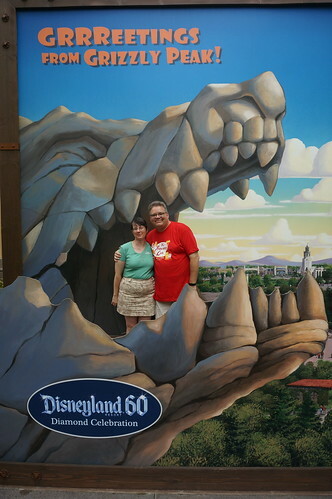 Tracey and Scott visit Grizzly Peak at Disney California Adventure.